Tax season provides a trigger for advisors and their clients to have an important discussion: should the tax refund be used for debt reduction or savings? In some cases, the best strategy may be to do a little bit of both. But the big issue to uncover is whether taxpayers understand their credit health well enough. 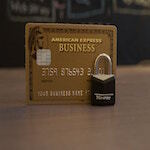 Recent reports show that use of credit and credit scores remains largely misunderstood by many clients. Those same clients likely don’t understand the true cost of debt: the inability to borrow in the future if their financial situation worsens. For many, necessity leads them to take on debt, as outlined in a report from CIBC. Forty-five percent say that their top form of debt is a credit card, and 29% took on new debt in the past 12 months, with the primary reason being to cover day-to-day expenses. Taking on additional debt is of concern as interest rates rise, and because Canadians are unsure of how to tackle significant levels of debt that average $1.78 for every dollar of income, according to Statistics Canada. A December study by Refresh Financial shows that Canadians don’t understand the role of a good credit score and only 41% know what their score is. The reasons for this lack of knowledge vary, but according to this study, most respondents choose to remain unaware out of fear, because 42% learned about the importance of credit the hard way, after making mistakes with their credit choices. However, understanding and improving your credit score are critical if more borrowing is in your future. Professional tax and financial advisors can first help clients keep more of their hard-earned money in their pockets with tax-efficient filing strategies – really digging for every tax deduction and credit available. Then they should help their clients apply that “biggest possible” tax refund to pay down non-deductible debt or fund a TFSA – a great risk management tool should increased borrowing at higher interest rates become a future reality. 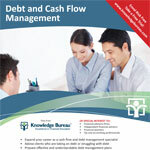 Additional educational resources: Ready for a sneak peek of the debt management educational options available? Take a free trial and check them out for yourself!